Greybull Capital has announced the buyout of Tata Steel’s Scunthorpe plant and the acquisition is supported by a 400 million pound investment package. Tata Steel dropped 1.7% to Rs. 325.50 on BSE. Greybull Capital announced the buyout of Tata Steel’s Scunthorpe plant yesterday and the acquisition is supported by a 400 million pound investment package. The long products’ European business has been sold for a nominal consideration. 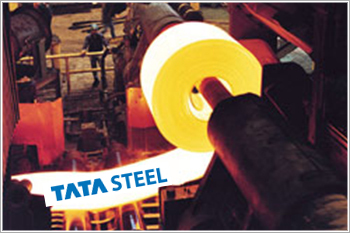 Deal with Tata Steel UK is expected to be completed within eight weeks. Transaction includes LPE Steel Works In Scunthorpe and 2 mills in Teesside. The scrip opened at Rs. 322 and has touched a high and low of Rs. 329 and Rs. 318.25 respectively. So far 4440104(NSE+BSE) shares were traded on the counter. The current market cap of the company is Rs. 32161.8 crore. The BSE group 'A' stock of face value Rs. 10 has touched a 52 week high of Rs. 384.2 on 06-May-2015 and a 52 week low of Rs. 200 on 29-Sep-2015. Last one week high and low of the scrip stood at Rs. 333.05 and Rs. 308.4 respectively. The promoters holding in the company stood at 31.35 % while Institutions and Non-Institutions held 38.79 % and 29.86 % respectively.